System monitoring software are some of the most important tools you need at hand. These tools allow you to monitor the condition of the system at any instance. Moreover, you can collect valuable information on a certain app. In the case of enterprise level, such system monitoring is even more important to ensure the maximum productivity. 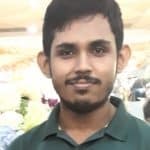 In the case of Linux, there are a number of things you need to ensure, for example, proper hardware resource management. In that sense, a handy task manager will save you a lot of works. Now, advanced and experienced users will always go ahead with the CLI tools whereas new and moderate users will prefer GUI mode. 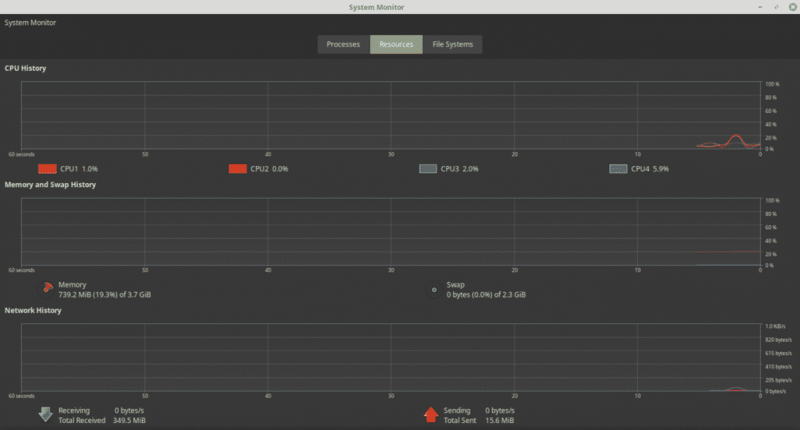 Today, let’s have a look at GNOME System Monitor – one of the most powerful system monitoring tools. This is a part of the GNOME software family. GNOME provides a number of tools for making your life easier besides their well-known GNOME desktop environment. If your system comes up with GNOME desktop environment, then there’s a high chance that you already have GNOME System Monitor to keep a sharp look on your system. Check out disks and mounts for available and used spaces. The tool is available for all the Linux systems. 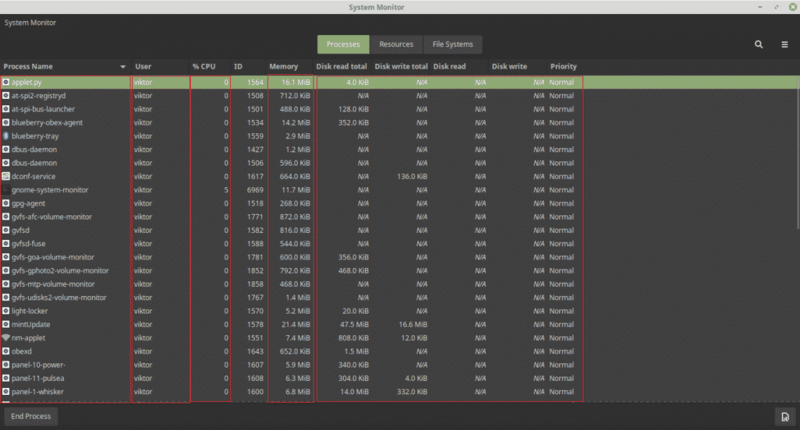 Ubuntu and Ubuntu-based systems will have easier access as GNOME System Monitor is already a part of the Ubuntu software repository. In the case of other systems, the best way to enjoy the tool is installing the “snap” package. 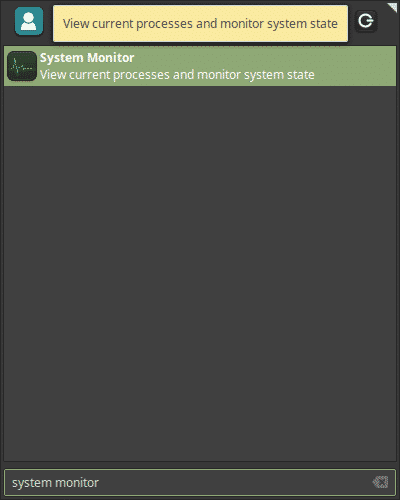 Get RPM package of GNOME System Monitor. Snap is the fastest way of enjoying GNOME System Monitor. At first, make sure that you have the “snap core” installed in your system. The window is pretty self-explanatory. On the “Process” tab, there are all the running processes of the system accompanied by their CPU usage, memory, disk usage etc. Right-click on any process and you’ll find out a number of options to manipulate the process. On the “Resource” tab, there are all the hardware resource usage and history. On the “File Systems” tab, you’ll find out the file systems mounted in your system and their use percentage. 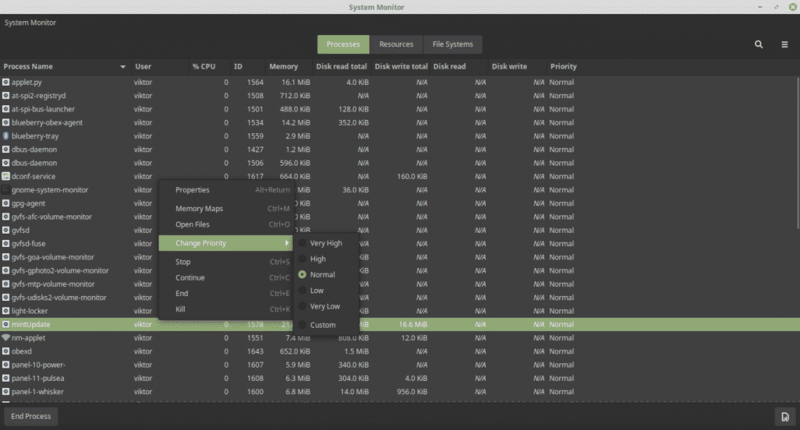 GNOME System Monitor is a very significant yet simple tool to enjoy. You can perform all the tasks you want with any processes. There are also a number of other task managers for Linux. However, for basic to intermediate usage, GNOME System Monitor should be more than enough.